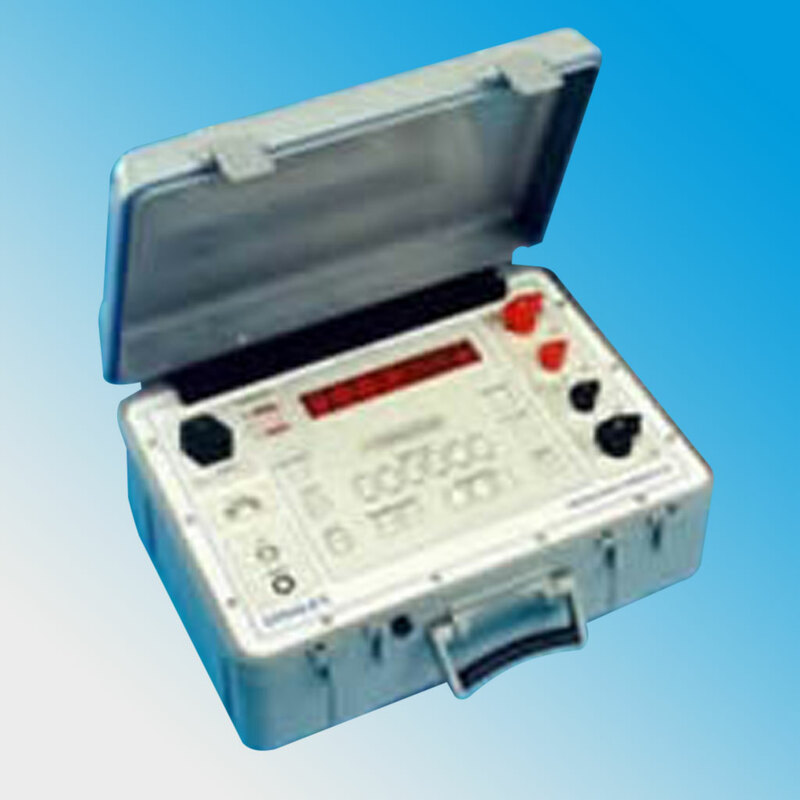 An accurate mains/battery powered portable 100A Micro-Ohmmeter. Using the 4 terminal measurement technique the Tinsley 5897 gives basic accuracy of 0.2% and an overall resistance range of 0.1µOhm to 40 Ohm. With an internal mains re-chargeable battery supply the Tinsley 5897 may be used "in the field" for periods of up to 8 hours without requiring recharging. A standard RS232 computer interface is included that may be used for printing resistance values or downloading measurements that have been stored in the instrument's memory. The Tinsley 5897 Portable Micro-Ohmmeter can be used fully auto-ranging or with manual range selection if required. Each of the 6 ranges has a choice of high or low measuring current. Current can be selected to be positive or negative, with the option of automatic reversal to eliminate the effect of thermal E.M.F.'s. A Kelvin, four terminal, measurement principle to eliminate lead resistance. The 100A current is pulsed with a duty cycle of approximately 10%. Measurement value displayed continuously. Two internal, re-chargeable, sealed, lead acid batteries are fitted for external 100A test resistance current and internal measurement supply circuits. Two charge indicators show the state of charge. The built-in battery charger has a front panel mains input supply for 115V or 230V supply with fuses. A 4 digit 4000 count display provides resolution to 0.025% of full scale reading in a bright daylight viewing 20mm high LED display. A rugged, portable sealed ABS case, coloured grey. Size 460 x 380 x 160mm. Net Weight Approx 17kg. Provided with an in-house Tinsley Calibration Certificate traceable to National Standards via NPL.